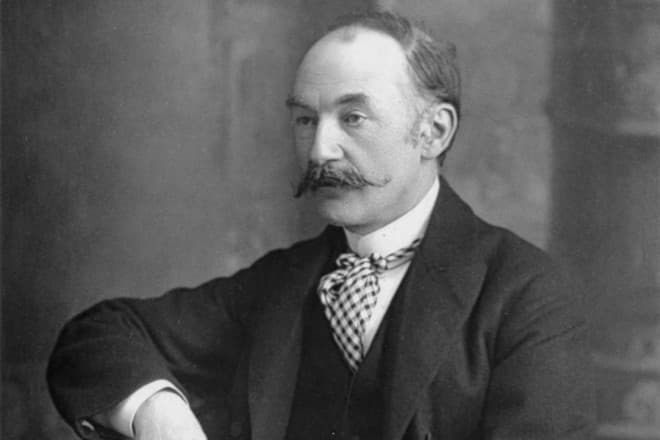 Thomas Hardy is a playwright and novelist, the author of poems and stories. He lived and worked at the end of the Victorian age. Thomas wrote mainly social novels, emphasizing pessimism. The heroes of his books cannot withstand life circumstances, social morals, and the misfortune. 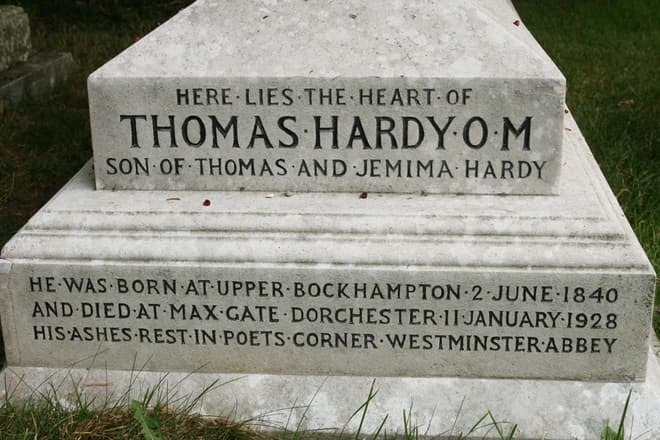 Thomas Hardy was born in June 1840 in the county of Dorset. The writer’s ancestors were noblemen, but they became so poor that his father and grandfather had to work as simple stonemasons. The family had two boys and two girls. 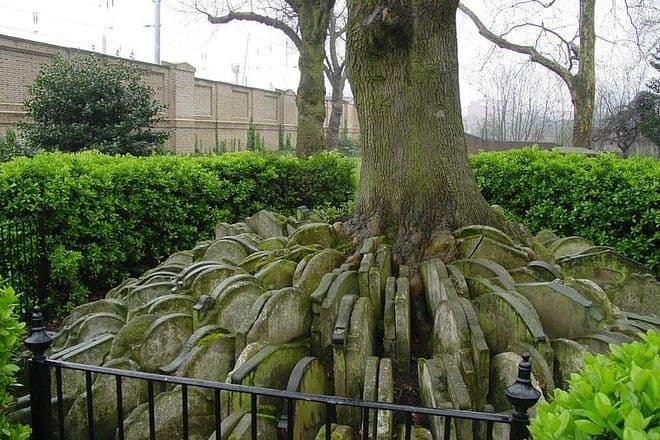 They lived in the village of Upper Bockhampton where the entire population was 50 people. The mother brought up the children. She was a well-read woman and did not want the heirs to lead a wretched existence. The mother knew that they should have a good education. Thomas attended parochial school and, besides, he read a lot at the insistence of his mother. The parents prepared their son for ordination, but it turned out that Hardy's heart wasn't in preaching. At the age of 16, Thomas became interested in architecture, and the boy was allowed to train at an enterprise repairing old buildings in Dorchester. At the same time, Hardy studied painting, Greek and Latin. After moving to London, the future writer graduated from King's College and got a job at the firm of Arthur Blomfield, the president of the Architectural Association School of Architecture. The company of the bishop's son, Sir Blomfield, specialized in the restoration of churches and other religious buildings. 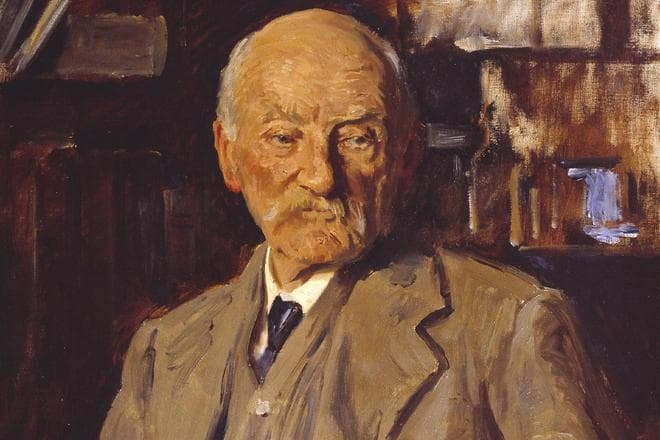 Thomas Hardy burned his first novel "The Poor Man and the Lady." In 1872, The Tinsley Brothers published the book "Under the Greenwood Tree," the first book of the section titled “Novels of Character and Environment." The writer’s name was first printed only four years later on the cover of the book, published in America. The novel concerns the activities of a group of church musicians in the village of Mellstock. It was inspired by the church band, founded by Hardy's grandfather at Stinsford. Therefore, Thomas described childhood memories and real places. In 2005, Nicholas Laughland filmed the novel shooting the popular TV series Midsomer Murders. Hardy mentioned facts of his life when he wrote the novel “A Pair of Blue Eyes” drawing on his courtship of the beloved girl, the problems caused by the different social status of men and women. The writer's darling woman, Emma, inspired the title character Elfride. The novel "Far from the Madding Crowd" made the author financially independent and famous. Thomas finally settled in Dorchester, built a house and could devote himself to writing. The work was also repeatedly filmed. At different times, Jonathan Firth, the younger brother of Colin Firth, and Linda Bassett, Michael Sheen and Carey Mulligan, Terence Stamp and Julie Christie played in the melodrama about the love triangle. The film adaptation of Thomas Hardy's book "Far from the Madding Crowd." The plot of "The Hand of Ethelberta" centers on the representatives of the high society, but critics recommended Thomas to engage in sheep farming. The writer even left for the countryside near Sturminster Newton, where he wrote the novel “The Return of the Native.” Hardy confused readers, telling about a married woman who ran from home with a lover. The novel tries to emphasize the idea that one who tries to fight the destiny digs his own grave. The next works "The Trumpet-Major," "Two on a Tower" and "A Laodicean" are also devoted to life in the English province. In the novel “The Mayor of Casterbridge”, Hardy wrote about the fate of a homeless farm laborer who, thanks to his abilities, becomes the mayor of the city, but cannot stay long at the top of the social pyramid because the past events change his life as well as the lives of people around him. In 2003, British director David Tucker shot the film of the same title featuring Juliet Aubrey, Polly Walker, and James Purefoy. Perhaps Thomas Hardy’s most famous work is "Tess of the d'Urbervilles." The novel shocked the prim Victorian readers. It was initially refused publication and received severe criticism. It made the writer depressed and caused a creative crisis. Thomas Hardy’s novel "Tess of the d'Urbervilles." The plot about a girl who sacrificed herself for the sake of the family is permeated with symbols, and it emphasizes the idea that high born people are not always happy. 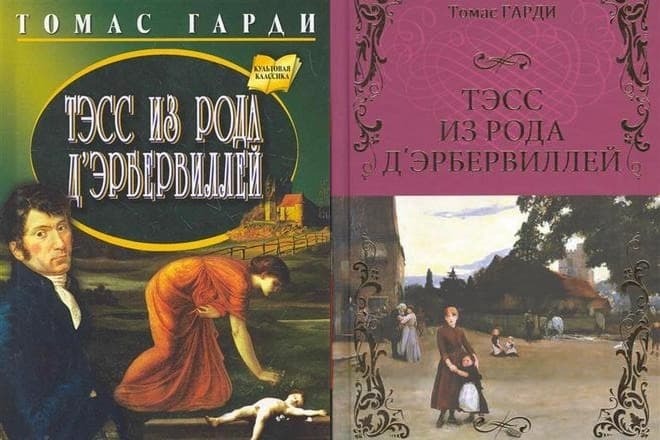 Several series and a feature film were based on this novel. Gemma Arterton, Madhuri Dixit, Nastassja Kinski played the leading roles in them. “Jude the Obscure” is the last novel of this genre. Thomas had already endured the outpouring of criticism, but this time his book received devastating reviews. The Bishop of Wakefield even burnt the book ceremonially, showing a few remaining admirers how dangerous and godless such heresy was. Thomas Hardy's film adaptation "Tess of the d'Urbervilles." From then, Hardy turned his attention to poetry because it was always his primary interest. 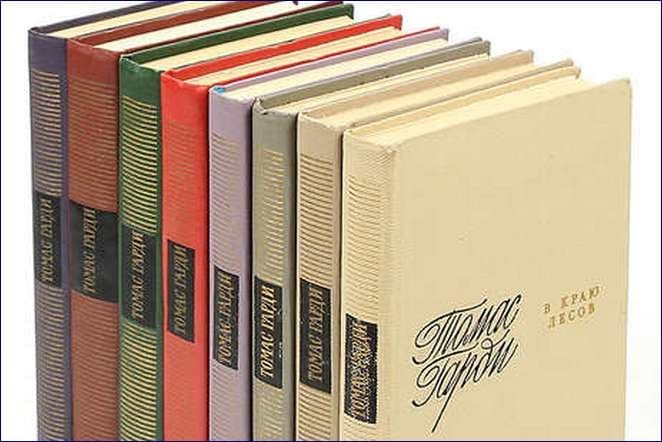 Researchers of the English writer’s works counted over 1000 poems and short stories, combined in different collections. In 1898, the author published “Wessex Poems," including the works written at the time when Thomas was fascinated with Romanticism. This work, as well as seven other collections, cover different unspecific topics. He wrote about his wife, described the beautiful village life and everyday life. In the early 20th century, Thomas Hardy turned to the epic genre, narrating the history of Napoleon Bonaparte's wars in verse. The play "The Dynasts" was published in three parts. In 1923, he published "The Famous Tragedy of the Queen of Cornwall at Tintagel in Lyonnesse" based on Celtic legends of King Arthur and the Knights of the Round Table. Despite the censorship, the criticism of society, the writer had the reputation as an influential person in literary circles. Hardy became an honorary member of the oldest British Magdalen College School and Queen's College, received his Ph.D. in English literature from the Universities of Cambridge and Oxford. In 1912, Thomas was awarded the Gold Medal of the Royal Society of Literature. 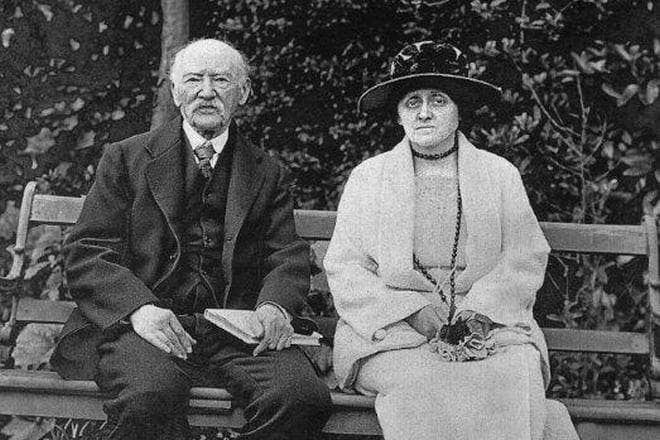 Thomas Hardy married Emma Lavinia Gifford in 1874. The girl was a sister-in-law of the priest whose church the writer was going to repair. Her death in 1912 was the central theme of Hardy's Verses Edition (1912–13). The poem "Thoughts of Phena At News of Her Death" is dedicated to the maternal cousin. They assumed that Thomas had a love affair with Miss Sparks and the couple was even secretly engaged. Hardy married Florence Emily Dugdale at an old age. The writer met her in 1905 when Emily taught at a girl's school. Two years after Emma's death, Thomas made Dugdale a marriage proposal, and she agreed not fearing a 40-year age gap. According to biographers, the children's writer (Emily published a book of short stories) lived in the shadows of Gifford. During their married life, the writer devoted his poems to the deceased wife memory. Thomas did not have children either in the first or the second marriage. At the end of 1927, Thomas fell ill with pleurisy and died in January 1928 at Max Gate. The funeral was on January 16 at Westminster Abbey. It is an interesting fact that Hardy's body is buried in the southern part of the church, and the heart is at Stinsford with his first wife, Emma. 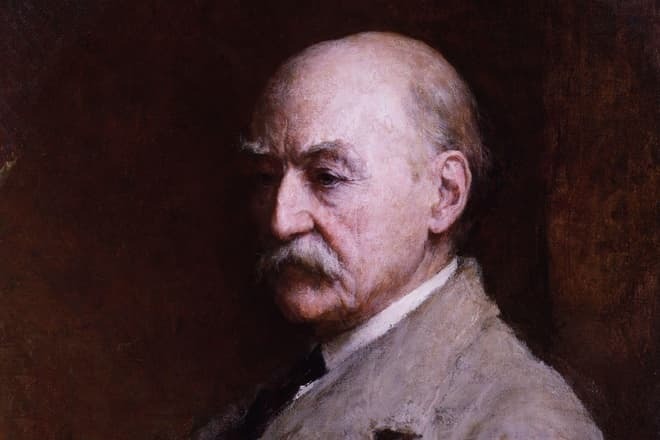 One year after the husband’s death, Florence published the book "The Early Life of Thomas Hardy, 1841–1891", compiled mainly from his diaries, letters, and memoirs. 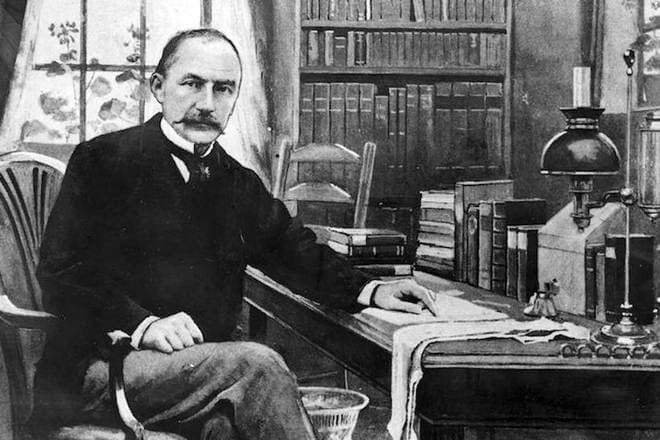 Shortly before his death, Thomas Hardy was nominated for the Nobel Prize in Literature and awarded the Order of Merit.